Product #1674 | SKU 166 | 0.0 (no ratings yet) Thanks for your rating! 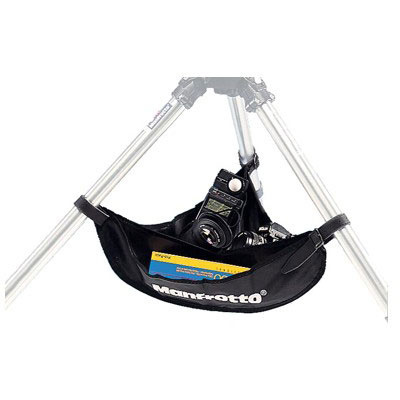 The Manfrotto 166 Tripod Utility Apron attaches to the tripod legs and allows for some storage space beneath the centre column. It can also be used to hold a sandbag or stones to lower the centre of gravity of your camera/tripod/tripod head combination and add some stability. Leather belt attachments adjust to most tripod leg diameters.